Buying property in Mexico? Frequently a question of legal relevance arises between the foreign community that lives or visits our country. Can foreigners acquire real estate in Mexico? 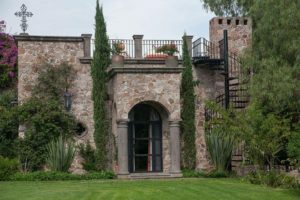 The general rule is that foreigners are allowed to acquire real estate in Mexico. Article 27 of the Political Constitution of the United States of Mexico allows foreigners to possess real estate in Mexico, provided that they agree with the Ministry of Foreign Affairs (Secretaria de Relaciones Exteriores), to consider themselves as nationals with respect to said assets and not to invoke the protection of their governments; Under the penalty that, in case of breach of agreement, to lose in benefit of the Nation, the propertie(s) acquired. The Law of Foreign Investment is the one that regulates in detail how and in which cases foreigners can acquire real estate. Foreigners, both individuals and legal entities, can acquire real estate if they are outside the restricted zone (100 km borders, 50 km beaches), provided that they previously obtain the respective permit from the Ministry of Foreign Affairs. However, foreigners can not acquire direct ownership in the restricted area, in that area they can only acquire rights as trustees (The title is held by a trust managed by a financial institution. The title is not part of the institutions assets), provided that previously the credit institution acting as fiduciary obtains permission to do so from the Ministry of Foreign Affairs, Once such institutions require such permission and the purpose of the trust agreement is to allow the use of such property, without constituting real rights over them, both to trustees foreign natural or legal persons or to Mexican companies with foreign admission clause, in the latter case when the purpose for which the property is acquired is residential. In view of the requirements that a foreigner must meet to acquire a property and taking into account the legal consequences that such an act generates, it is advisable to go to your Notary for advice before making any real estate acquisition. PS: With citizenship you do not have to pay for a trust. The trust is about $600/year. When you buy you need to be in Mexico legally. You need at least a tourist visa at the time.